Durable hiking shoes designed for exploring in comfort. They'll hit the trail and keep moving. 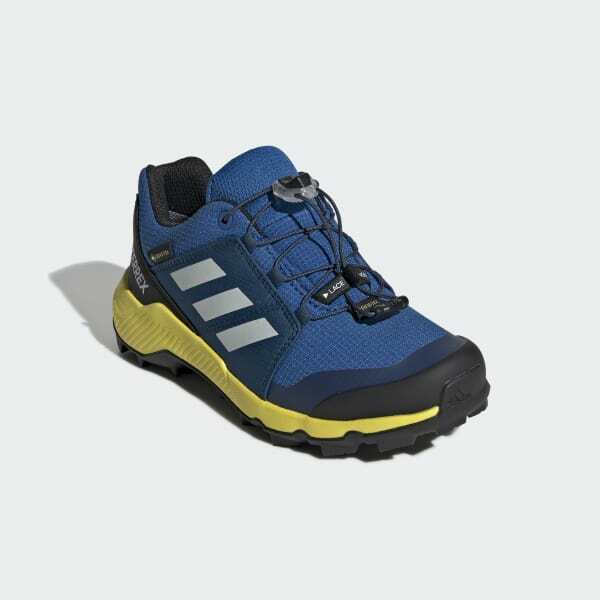 These kids' hiking shoes are built with a durable upper and a sturdy outsole that gives your young explorer a surefooted grip on the path ahead. The GORE-TEX lining provides dry comfort.